Mexican Archbishop, Norberto Rivera Carrera has called on parishioners to report extortion to authorities. (CNN) - The threatening calls reportedly came one after the other to Mexico's main Catholic seminary. Callers, claiming to be from one of the country's feared drug cartels, offered an ominous warning: Pay up if you value the safety of your priests. "They called several times. They identified themselves as the Familia Michoacana, but who knows?" 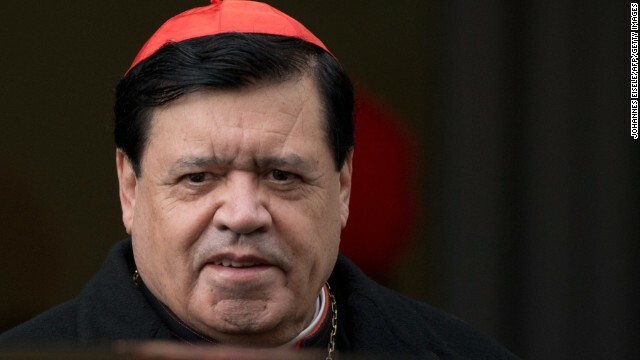 Cardinal Norberto Rivera, archbishop of Mexico City, revealed at a Mass this week. "I spoke with the authorities. We made the appropriate report. Because they wanted us to pay. Because if not, they would kill one of us. They wanted to extort 60,000 pesos ($4,600)." Reports of extortion have become increasingly common as drug cartels expand their reach in Mexico. But public denouncements of such attempts are rare.